In overtaking the famed New Zealand mare Sunline to secure second place on the all-time prize money list for Australasian racehorses, Winx signed off on a four-start autumn campaign with barely a moment's worry. In front of a Randwick crowd out in force to watch the world's best horse on turf, Winx defeated Hartnell with Sense Of Occasion finishing in the minor placing. The five-year-old has won won almost $12.8 million and she is within striking distance of leading stakes earner Makybe Diva who banked more than $14.5 million during a career which included three Melbourne Cup wins. Winx raced in midfield before Hugh Bowman sent her forward at the 600m to get on terms with Hartnell. 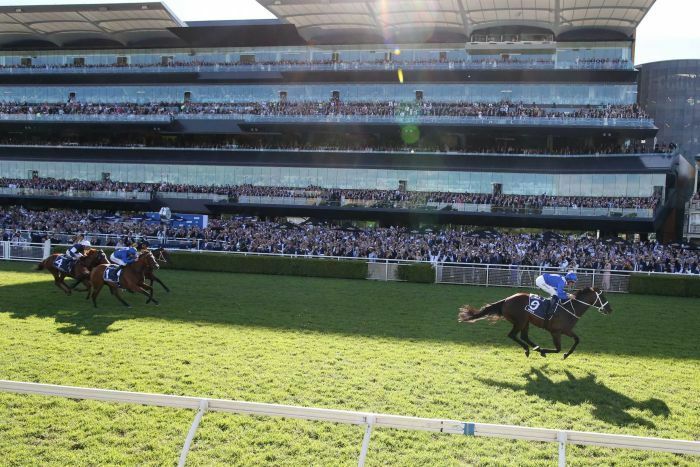 By the 300m, Winx had edged clear and 100m later she extended to put the race beyond doubt.